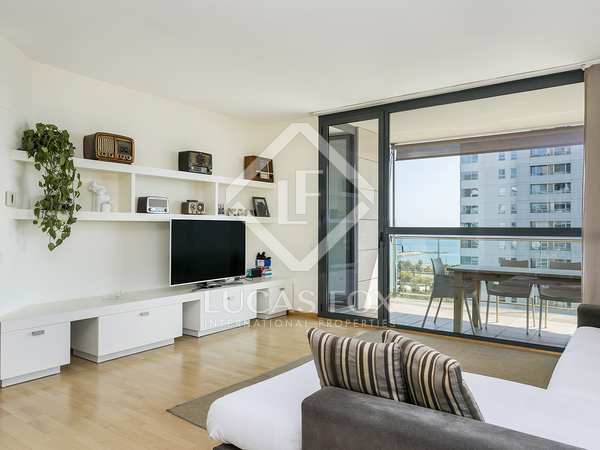 Lovely, contemporary 3-bedroom apartment with a large 70m² terrace, plenty of natural light and beautiful sea views to rent in Diagonal Mar, Barcelona. 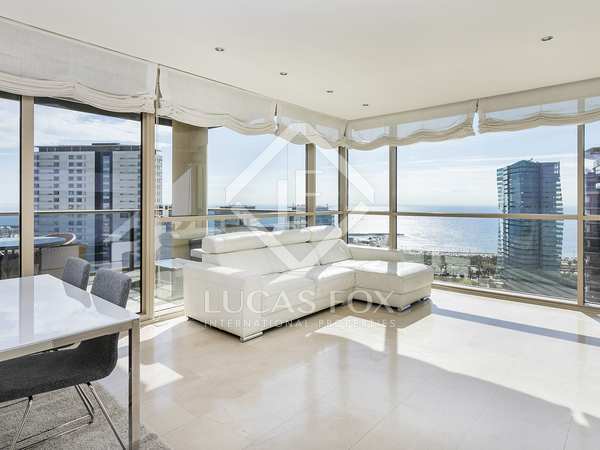 Airy 3-bedroom property with a large terrace on a high floor of a modern building with sea views and excellent communal facilities on the seafront in Diagonal Mar. 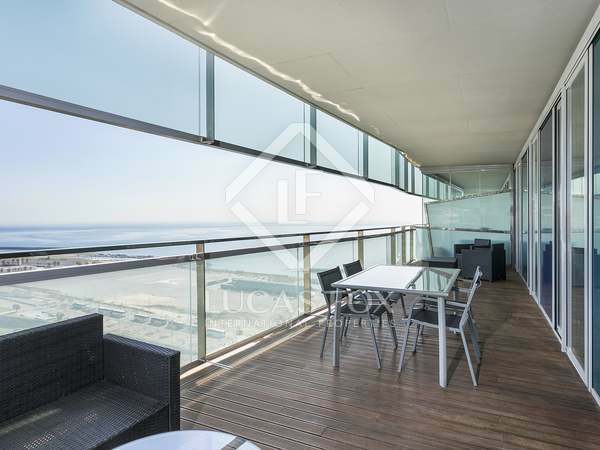 Property with large windows and 3 bedrooms overlooking the sea, for rent in a family complex with excellent amenities. 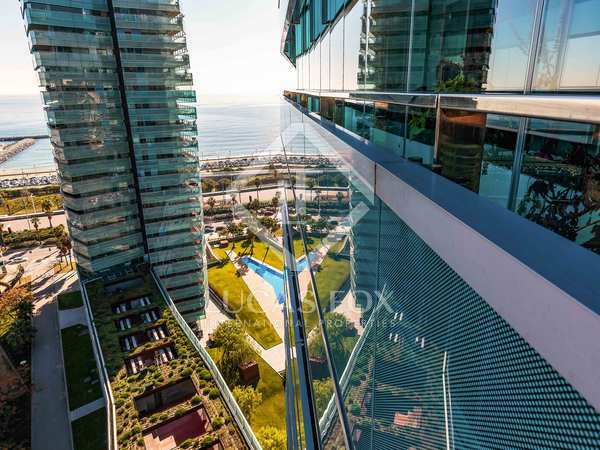 Swimming pool, gym, padel tennis courts, study room and a 24-hour concierge. Includes parking space. 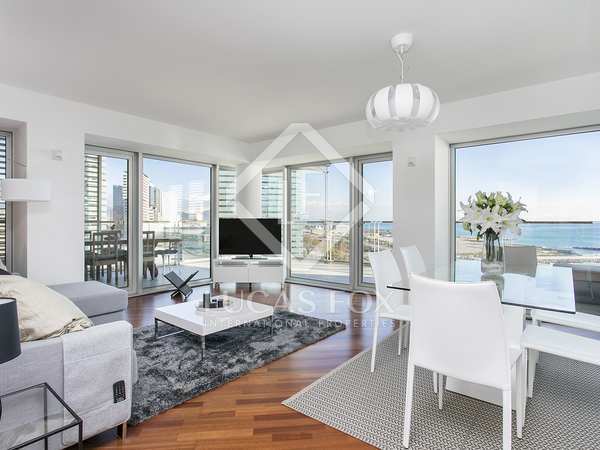 Unfurnished 3-bedroom apartment for rent in a prestigious development in Barcelona's Diagonal Mar with terrace, 2 parking spaces, a storage room and wonderful city and sea views. 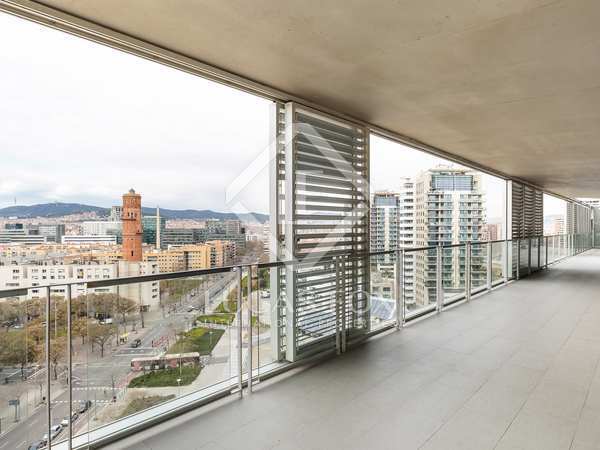 21st floor apartment available for long-term rental in the exclusive L'Illa del Mar development in Barcelona's Diagonal Mar. 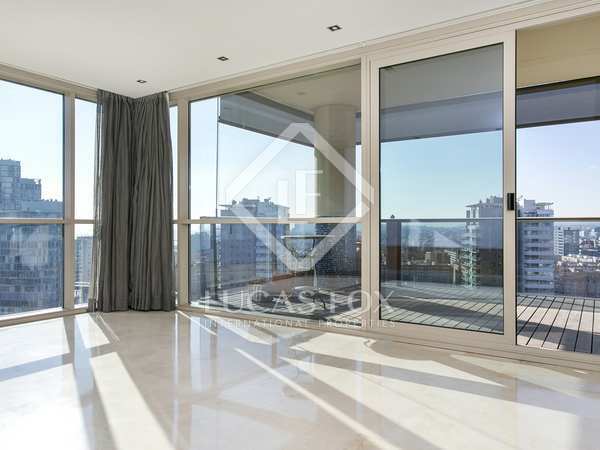 Private terrace, communal pool and gym.